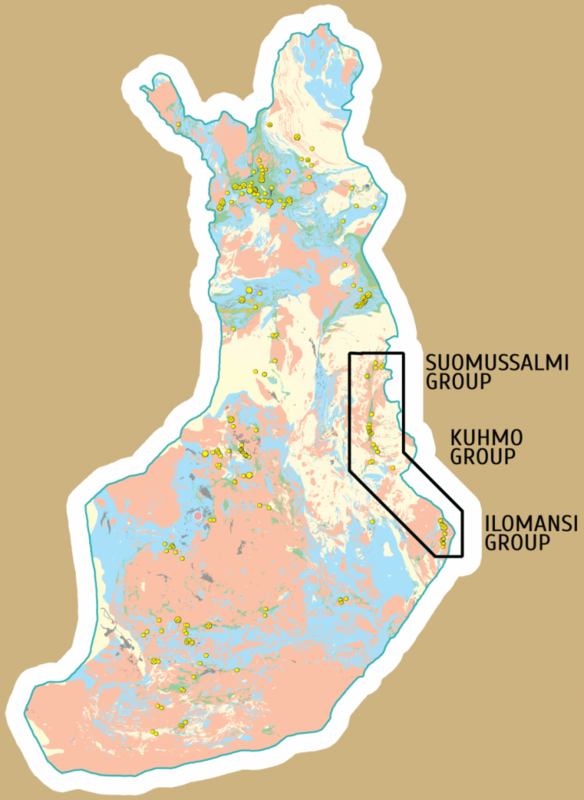 Karelian Gold Project Mineral Exploration Network (Finland) Ltd.
From 2009 we have been concentrating our efforts in the Achaean greenstone belts along the Hattu–Ilomantsi and Kuhmo-Suomussalmi in Eastern Finland. As a result of intensive field work in this area eighteen drill targets were generated.Mineral Exploration Network (Finland) Ltd. possesses a number of reservations and ore prospecting applications. They are covering areas which have been selected based on conceptual modeling, as well as areas with gold occurrences identified through drilling programs. – Suomussalmi Group (Rutisuo, Hossa, Kivelä, Syrjälä, Syrjälä 2). The total area of the project is 249,8 sq.km (ore prospecting 100,79 sq.km.). Exploration potential – 5-7 Moz of gold.